A large, high quality 9mm cushion-cut smoky topaz totaling 3.52 carats is set with 0.40 carats of diamonds in 14k solid white gold. We use sparkling white diamonds in your choice of H-J Color and SI Clarity diamonds. 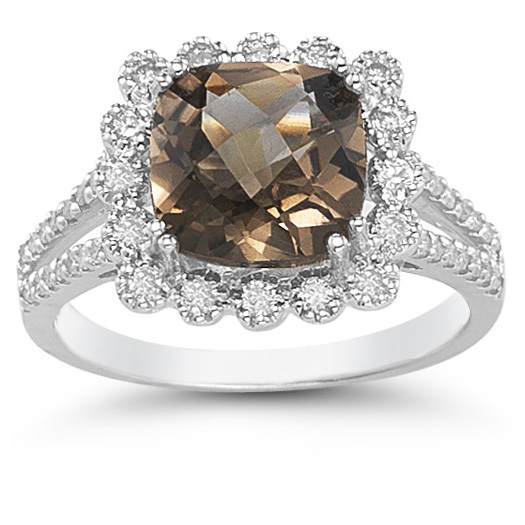 We guarantee our Cushion-Cut 3.52 Carat Smoky Topaz and Diamond Ring to be high quality, authentic jewelry, as described above.